At the beginning of 2013, I decided that I will start to fulfill a long time goal of running 5k races. My younger daughter and I entered our first race together in January. 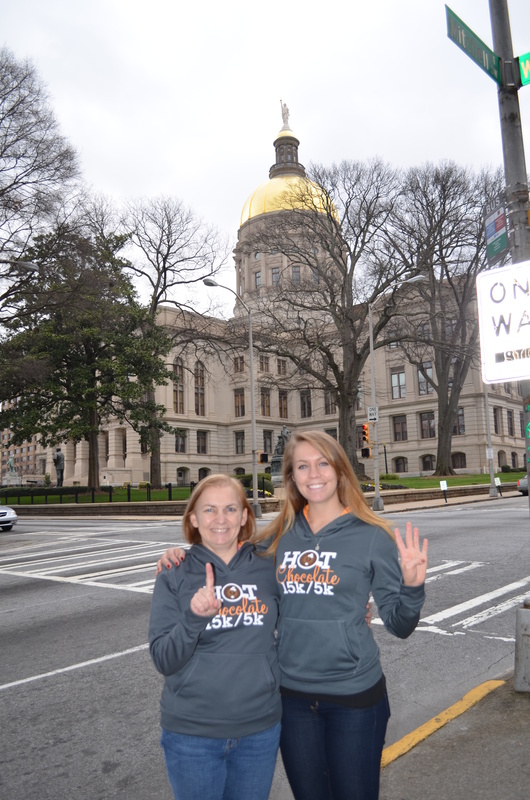 The Hot Chocolate 15k/5k, in Downtown, Atlanta. I had great intentions of training every day, building my stamina and making a great showing in my first ever 5k. HA! The fact is I got out and “trained” about three times the week before the race.That means I walked 90% of the time and ran the rest, sometimes. During the race, I had to walk up the hills. Going downhill seemed easy at first, but then toward the 2 mile mark, it seemed if I started running, I would pick up too much speed and then the fear of rolling down the rest of the hill caused me to walk again. I didn’t come in last in my age group (50-54), but I was about 300 runners away from first. It was embarrassing, but I finished. We had some great refreshments afterward: hot chocolate, fudge, chocolate covered pretzels, bananas, and a free hoodie. My next race, The Color Run, in Hampton, GA. was a race around Atlanta Motor Speedway, not on the track, but around the outside wall. This one was totally for the fun of it. 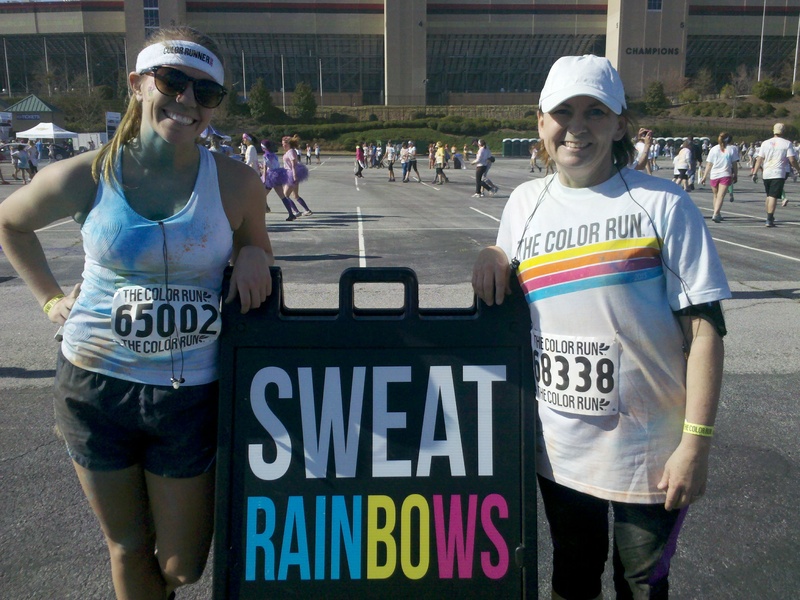 Every 1/2 mile or so we runners were doused with packets of powder in a rainbow of colors. It was somewhat hazardous to your health if you suffer from respiratory issues, but other than that, crazy fun, especially the after party. So I’ve learned to have fun when I run, but I’ve also learned that training (even when you are only running for fun) is important to keep that youthful feeling all year. What lessons have you learned from your adventures? I’d love to read your comments. ← Fitness Round-Up for the Young at Heart: News from around the globe on how senior citizens stay active.